This paper examines how the evolution of state policy from 1923-1933, toward women and religion was expressed in posters, one of the most important mediums of communicating policy to a society that was still overwhelmingly illiterate at the beginning of Stalin’s cultural revolution in 1928. 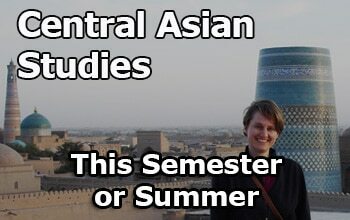 Furthermore, this paper seeks to use the analysis of the posters to shed light on the historiographical debate about the modernist/traditionalist approaches to understanding Stalinist cultural policies and practices. I argue that the Stalinist portrayal of the construction of Soviet society, which opposed the Leninist deconstruction of traditional society and lends support to the modernist approach to understanding Soviet cultural change from Lenin to Stalin. When the Bolsheviks came to power in Russia in 1917, they wanted to enact change in every facet of politics, culture and society. The Bolsheviks, led by Lenin, had wished to build an utopian society in Russia based on Marxist ideology with an industrial economy built upon an educated and atheistc population. To accomplish this, the very foundations of Russia’s traditional society had to be uprooted. The Bolsheviks saw this society as backward in every sense: peasant, agrarian, illiterate, deeply religious, superstitious, and all-indicative of the tsarist legacy of oppression and the conservatism of the Orthodox Church. Before and after the 1917 Bolshevik Revolution, the Russian Orthodox Church served as the backbone of traditional Russian culture, in art, literature, music and society. Furthermore, the Bolsheviks understood the highly integrated ideological and political relationship between the Church and the tsarist state. The Church had historically been a conservative force in Russia opposed to the Enlightenment and supportive of tsarist policies including the enslavement of the peasantry through serfdom, and the perpetuation of conservative social ideals such as the preservation of the traditional roles of women in the family. However, Russians remained dedicated followers of the Church. The Church and the tsarist state had been inseparable since Peter the Great who created the Holy Synod, a council consisting of members of the episcopate chosen by Peter, which replaced the Patriarch as the head of the Russian Orthodox Church. 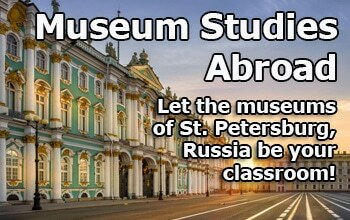 Peter effectively made himself and future tsars the head of the Russian Church. This, combined with the Church’s open support of the tsarist Whites during the Russian Civil War (1918-1921), convinced the Bolsheviks that the Church was not simply an ideological enemy; but a physical enemy as well. The idea of religion being the opiate of the masses was originally formulated by Marx and was further perpetuated by the Bolsheviks in their anti-religious propaganda. The Party believed that religion was used to oppress the people and keep them uneducated and therefore unable to fight against the wrongdoing of the exploitative priests and tsar. To build a Soviet society, the Church and religious belief had to be excised from Russian society completely. Women and religious belief had a long intertwined history in Russia and this bond had to be broken before the woman of the traditional society could become the Soviet woman. 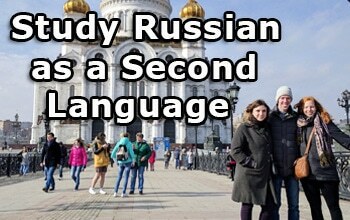 Women were the nucleus of the traditional Russian family structure while the Church was the pillar of conservative belief and traditional thought. These two elements combined posed a threat to the radical and atheistic Bolsheviks. Women served as a double-edged sword to the Bolshevik aims to transform traditional Russian society into an industrial and Socialist society. During the early years of Communism, many leading revolutionaries and even leading female Bolsheviks such as Lenin’s wife, Nadezhda Krupskaia, and noted revolutionary Aleksandra Kollontai, shared the view that the Russian peasant woman was a victim to be saved and an enemy to be stopped. As cultural historian Barbara Evans Clements states, “they believed that the woman of the masses was both a conservative who could be an enemy of revolution and a long-suffering victim of oppression who must be liberated by revolution”. Women, thus, would continue to devote themselves to a Church and religion that, according to Bolshevik ideology, condoned and perpetrated their harsh economic and domestic conditions. Women saw religion as a way to ameliorate their problems rather than having caused them. Women were the fundamental basis of the Church in Russian society, often maintaining the religion in the course of maintaining their households, and thus changing the economic situation of women was not enough for the Bolsheviks to turn them into Soviet women. Their entire outlook on life and roles in society had to change and that began with ridding them of their belief in religion. While many historians have focused on Bolshevik policies towards women and religion from 1917 to 1939, few have focused on the important ways that the Bolsheviks visually depicted their campaign to create an atheist society consisting of liberated women. Historian Peter Kenez denotes the importance of posters in the visual representation of Bolshevik ideals as: “the quintessential form of propaganda: its message can be quickly grasped by the most unsophisticated viewers; its appeal does not depend on rational argument; and it is as capable of advertising a commercial product as of selling a political ideal.” The benefit of the poster as a message that can be grasped quickly was very important to the Bolsheviks. Up to the mid-1930s Russian society was highly illiterate, particularly outside of urban areas, making it very difficult for the Party to disseminate its message to individuals in the countryside. During the Leninist era, the Bolsheviks used visual imagery to underscore the role that the Church had in the oppression of women, while during the early Stalinist era (1928-32) the posters were used to depict the new Soviet woman and the positive role atheism played in her liberation from religion and domestic inequality. To show this was the case, I must lay a foundation of the Bolshevik ideals of cultural change and how those took shape under Lenin and Stalin, and then I must explain the historiographical debate between modernism and traditionalism surrounding the issue of cultural change from Lenin to Stalin. Through my analysis of Soviet anti-religious propaganda, I argue the Stalinist portrayal of the Soviet woman reflects the construction of Soviet society as opposed to the Leninist deconstruction of traditional society. 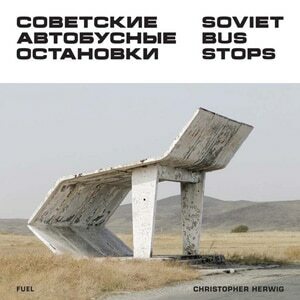 This lends support to a modernist framework on Soviet cultural change. Lenin argued that “cultural revolution” should be nonmilitant and focused on the development of an educated society that the creation of an industrialized economy would require. Furthermore, Aleksandr Krinitskii, the head of the Central Committee argued that “the proletariat must fight against bourgeois elements which are supported by the remnants and survivals of the influence, traditions and customs of the old society.” For Lenin, culture and education had to be a slow process to be done correctly, to really remove the foundations of tsarist society. Marx did not outline for nor define what Socialist society should look like; rather society would naturally become Socialist after the revolution of the proletariat occurred. Lenin’s cultural revolution started by closing hundreds of churches and by building the foundations of the Soviet welfare state but did not focus on the development of the Soviet citizenry. Lenin’s cultural revolution developed into tearing down of the traditional structures of Russian society. In the case of Russian women, tearing down traditional structures of femininity took the form of the freedom to divorce, to obtain an abortion and the right to vote. Despite the fact that these rights were given to women on paper, the rights were not actually available to most women in the countryside. Lenin died in 1924, leaving an empty throne with no named heir. A struggle for leadership ensued which saw Stalin rise to lead the USSR and, by 1928, began to introduce his own form of cultural change. Stalin’s idea of cultural revolution contrasted with Lenin’s in that he felt the development of Soviet culture and society should develop simultaneously with industrial development. To Stalin, the USSR did not have the luxury of taking its time to build a Socialist society because it was the first government in history to build a Socialist country. 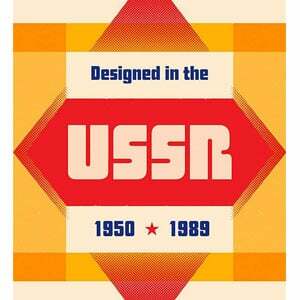 Industrialization had to occur quickly in order for the USSR to compete with the Western nations. Stalin’s cultural revolution was a veritable assault on traditional forms of Russian culture. It included literacy campaigns, hygiene programs, the building of social welfare programs, and a strengthened attack on religious belief and the Russian Orthodox Church. Furthermore, Stalin’s cultural changes focused on the creation of the new Soviet person rather than a concentration on the negative elements of society that had to be done away with, a difference that will be shown in the posters analyzed in the following section. In 1934, the Bolsheviks held the “Congress of Victors” as the Seventeenth Bolshevik Party Congress was named. During the Congress Stalin declared that Socialism had been achieved in the Soviet Union and that it was time to consolidate the gains of the revolution. This included addressing the issues that had arisen because of the policies that were enforced during Lenin’s time and the NEP. The most severe of these issues included a falling demographic because of the widespread use of abortion. Thousands of women were abandoned or divorced by men after getting pregnant, and hundreds of thousands of children that had been orphaned and left to a government that had opened many, although not enough, orphanages. The cultural policies that Stalin pursued from 1934 onward were in the context of the idea of achieving Socialism. The Party argued that women no longer needed to have abortions because being a mother was no longer a financial hardship; women had jobs and could afford to support themselves and their children. Furthermore, it was important for the continuation of the Soviet Union to have children to be the next generation of strong and able workers and Party members. For women, being a mother was no longer a burden that was forced upon her because of her subordinate position in society, instead she was the pillar of the new Soviet society. The future of Soviet society was dependent upon her; if she chose to become a member of Soviet society she was led to believe that she would then have agency and power. This is not to say that the audience looking upon these posters truly had agency; this is contested amongst Soviet cultural historians. The differences between Lenin and Stalin in terms of their approach to cultural change and the policies that they enacted have been the subject of the work of many historians resulting in a diverse discourse. The two historical interpretations this paper focuses on can loosely be described as “traditionalists” and “modernists”. He argues that the cultural changes enacted during the Stalin era from the mid-1930s to the mid-1940s were a retreat to traditional elements of Russian society; particularly the traditional structures of the family and religion. He bases this argument off a comparison to the advances made in Soviet culture during the early 1920s and during the NEP. The retreat was a reversal of the liberal economic and social policies Lenin enacted during the early stages of the Civil War and during the NEP that followed in 1923. He contends that Stalin’s cultural policies during the mid-1930s to the end of the Second World War increased the emphasis on family ties and slackened the push against religion. The policies he focuses on include the banning of abortion in 1936 as well as the renewed emphasis on the successes of imperial Russia during World War II in order to bolster the Soviet war effort. Timasheff contends that the retreat is due to the fact that the population was not taking to Socialism and in order to regain the support of the people Stalin embraced traditional culture in the family, education, and religion. The modernist approach to analyzing Stalin’s cultural change is highlighted by historian David Hoffman in his work, Stalinist Values: The Cultural Norms of Soviet Modernity. 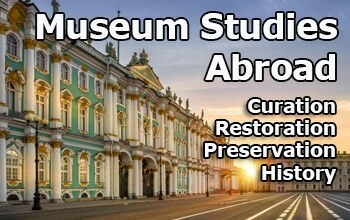 Hoffman responds directly to Timasheff’s Great Retreat thesis and argues that Stalin’s cultural changes did draw on elements of traditional Russian culture, but they were used to modernize the Russian people and to create the new Soviet person rather than to revert back to the tsarist society. For Hoffman, the traditional aspects of Russian culture, such as the family and the role of women as its pillar, were used to bolster socialism within society rather than to turn away from the socialist values espoused by Lenin. 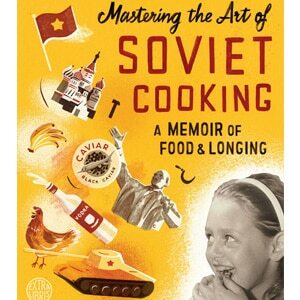 “Stalinist propaganda relied on some traditional institutions and appeals, but as I will demonstrate, it did so for distinctly modern moblization purposes.” Furthermore, Hoffman explains how the Soviet experiement in modernization was not unique and had many elements such as an emphasis on hygiene, literacy, and social services in order to recover from the hardships that a World War and economic depression had caused in the 1910s to the late 1920s. Hoffman contends that although the Bolsheviks were responding to many of the same problems of modernity that their counterparts in Western Europe were contending with, the Soviet society that developed in the late 1920s and 1930s under Stalin was unique because of the ideological structure that was being used to create society. The role of ideology in the construction of the new Soviet society needs to be stressed because it is the context in which the Bolsheviks evaulated success or failure of their policies. Widely celebrated Soviet cultural historian Sheila Fitzpatrick adds to this rich discourse in her book, Everyday Stalinism: Ordinary Life in Extraordinary Times, by maintaining that the policies that Stalin enacted during the cultural revolution from 1928-33 and after the Congress of the Victors in 1934 were still based on the premise of building Socialism and consolidating the gains of the cultural revolution. Like Hoffman, she argues that while the renewed emphasis on motherhood and the outlawing of abortion seem like a retreat from the foundational values of the new Soviet society that had been laid during the Lenin era and built upon during the Stalin era, the purpose of these policies was to build a modern Soviet society. “The change of Soviet orientation that it [the achievement of Socialism] celebrates, labeled ‘the Great Retreat’ by an American sociologist, was inaugurated at the beginning of 1935, when the lifting of bread rationing was the occasion for a propaganda campaign the celebrating of the end of privation and the coming of plenty.” The society that Stalin built was still based upon the principles of Leninist Bolshevism: a literate and atheistic society, an industrialized economy and a society that included gender equality. Matthew Lenoe provides a traditionalist response in his article “In Defense of Timasheff’s Great Retreat.” Lenoe contends that modernists including David Hoffman have misconstrued Timasheff’s argument:”Hoffman oversimplifies Timasheff’s work when he attributes to the latter the view that the Retreat amounted to ‘a conscious abandonment of socialism.” Lenoe argues that Timasheff meant that there was a link between the policies of the late 1930s and 1940s and that these policies were a retreat because they failed to bring the Leninist idea of a communist utopia to fruition and not because they wanted to bring Soviet society back to its traditional Russian form. While making an interesting critique of the work of Hoffman and other modernists, Lenoe still does not contend with the premise that Hoffman and Fitzpatrick put forth. The purpose of Stalin’s cultural revolution was to build the Socialist society that he and Lenin had envisioned and the consolidation of the achievements of Stalin’s cultural revolution took place in the form of his policies from 1934 onward. The goal was a modern Soviet society based upon the Bolshevik ideals and that was what Stalin and the Party believed they achieved. As mentioned in the introduction, posters played an imperative role in the destruction of the traditionalist Russian society and the creation of the new Soviet society. Posters and other sources of visual art were used by the Bolsheviks to depict and communicate the Party’s policies and goals to a society that was highly illiterate until the mid-1930s. Posters serve as an effective barometer of Bolshevik attitudes toward women and religion because they were only produced by approved anti-religious organizations and printed in approved magazines. Furthermore, posters serve as an interesting medium of analysis because they actually depict what Soviet society; women in this case, were to look like. Marxist and Leninist/Bolshevik ideology, does not describe what a Soviet society should look like; they only give characteristics such as atheism and an industrialized society. Posters and visual art made Soviet society and the new Soviet woman tangible. The posters used in this paper are drawn from two of the most popular anti-religious magazines in print during the Lenin and Stalin cultural revolutions. The Godless at the Workbench was an illustrated-monthly magazine printed from 1923-1932 and edited by Maria Kostelevskaya. The Godless at the Workbench consisted of stories, news, poetry, games, anti-religious testimonies and centerfolds that one could use as posters. It was generally 24 pages long with eight full-color pages of posters and drawings. The journal was one of the two most popular and circulated anti-religious journals during the 20s and 30s, the first being The Godless (Безбожник) edited by Emel’ian Iaroslavskii and created by his League of the Militant Godless. There is a marked difference between the two journals as The Godless at the Workbench was created because of Kostelevskaya’s belief that The Godless took an approach to religion that was too lenient. She considered the direct threat that religious belief and the Church posed to the building of the Soviet state as a cause for their complete eradication from Society. “She proposed that, in view of the urgent need to foster a socialist culture, the most expedient way to convince a barely literate population was to, once and for all, expose the clergy as corrupted, religious ritual as unwarrantedly costly and sacred arts as propagandistic.” Her more radical approach is seen in the propaganda posters that were included in the monthly publication that focused on a different social issue each month, in order to connect the anti-religious organization with other Soviet cultural causes. Furthermore, The Godless at the Workbench also serves as an interesting source because it stopped printing two years before the “achievement of Socialism.” After this announcement women are no longer depicted in anti-religious posters in either of the most popular anti-religious magazines. I argue that this is due to the fact that the government believed, although it is highly debatable, that the bond between women and the Church had been broken and there was no longer a need to depict any forms of religious belief or the Church with the new Soviet woman. The posters entitled Autumn and The Living Cross were published in 1925, a year after Lenin’s death and at the height of the New Economic Policy. The Bolsheviks were still in the process of rebuilding the economy after the Civil War, which ended in 1923. The Lenin and NEP era of Soviet history focused primarily on the tearing down of the traditional structures of Russian culture and society: removing the class system, giving freedoms to women, removing the internal passport system and destroying and requisitioning property of the Church in order to decrease the Church’s presence in the everyday lives of Russian citizens. The posters depict women and the Church in negative forms and highlight the Bolsheviks’ perceptions of women: particularly women in the countryside whom they believed were the holders of religious belief. 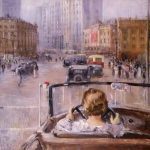 Autumn was most likely seen by the young urbanites that lived in Moscow and St. Petersburg, the most populated urban centers in Russia at the time of its publishing in 1925. The purpose of the poster was to inform the urbanites of the problem that religion was posing to their counterparts in the countryside. 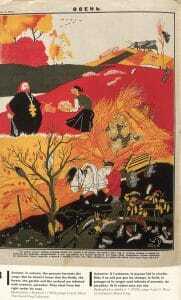 The poster, which is vividly illustrated, includes a few lines of text in Russian that say “In autumn, the peasant harvests the crops. But he doesn’t know that the fields, the forest, the garden and the orchard are infested with enemies, parasites. They steal from him right under his nose.” The famished male peasant is shown toiling in his fields with his equally famished horse; blinded he is surrounded by ticks, centipedes and locusts. These parasites have infiltrated his fields and are freely eating all the grain he has sown and even the grain that he has already collected and placed into the wagon cart following his horse. If one looks closely at the parasites that are pillaging the livelihood of the poor peasant, one can see they are all well-fed and the ticks in the wagon with the grain are smile and lift their arms out. A priest, in a smock typical of a member of the clergy of the Russian Orthodox Church, with his large gold cross hanging from his neck takes a similar form as the well-fed tick. Also, the priest has a rotund stomach and is standing with his hand out and mouth open and the hunch-backed and physically unattractive peasant woman hands him a box full of eggs. The depiction of the clergy as a group of parasites is often used in the anti-religious posters of the mid-1920s as it is in line with the way that the party discussed “class enemies,” those who intentionally posed a danger to Soviet society. Interesting nuances add to the analysis of gender. While the caption suggests that parasites and enemies were stealing the produce of the peasant man, the audience can see that this is not necessarily the case. While the man is being robbed of his hard-earned goods the smiling peasant woman, in her naivety, is happily giving away the produce her blindfolded husband has worked so hard for. The action of the peasant woman is nuanced with the notions the Bolsheviks had of women in the countryside. The woman is depicted as the archetypical babushka, poor with her ill-fitting clothing and bare feet. Her old and hardened face is wrenched into a somewhat forced smile towards the local priest, the man that exploits her by using his influence and control over her immortal soul for his own personal gain. The woman’s smile is interesting because she presents a happy and welcoming front to the priest but the smile is forced, emphasizing the exploitative nature of the relationship between women and the Church. Moor, Dmitry. Осень. 1925. Poster. 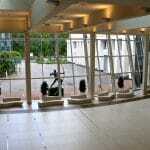 Dunlop Art Gallery. One can see that the peasant woman has her eyes open and is willingly giving away her produce while the male peasant is blindfolded, walking through his fields reaping as he is followed by the parasites that have ravaged his crops. A sense of pity can be felt towards the male peasant because the audience sees and understands that he cannot help what has happened to him because he cannot see it; he is blind to it. In another reading, the husband has chosen to be blind and not to cope with the issues that his wife must face alone. Often in traditional households, religion was the realm of the woman; she was responsible for the religious activities of the family. One does not feel pity for the female peasant as she smiles and gives away her eggs. Her eyes are open even though her mind is closed due to religious belief. She believes she is doing her religious duty by feeding the priest. The female can also be read as helping the priest deceive her husband as the priest does not steal, he only takes what is given to him by the peasant woman. I argue that this view can be gleaned from the fact that the text states that the male peasant’s fields are infested with enemies and parasites and this includes the wife who gives away produce she did not toil for. While the text does not outwardly state this about the wife, it can be inferred from the juxtaposition of the wife, priest and parasites on the same plane within the poster. The priest is seen as the local face of the exploitation caused by religion and the Church in the countryside. He is often depicted in his black smock with a large cross either with his hand out or his mouth open. This goes to show how the clergy is always prepared to take from the peasants that they have duped with their religious dogma. The poster also hints at the Church’s never-ending thirst for and pursuit of material wealth through the exploitation of its followers. The theme of the naïve peasant and exploitative priest is shown in an illustration named The Living Cross by M. Cheremnykh, produced in the same year as Autumn. 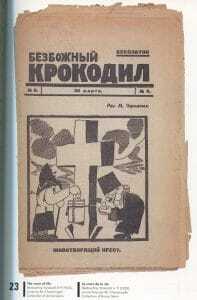 The Living Cross was published in the Soviet anti-religious satire magazine The Godless Crocodile (Безбожный Крокодил) in 1925. The illustration depicts a peasant woman looking up towards the heavens and showing respect to the cross while she places money into a bucket lodged inside the cross. The bucket has a pipe that leads directly to the hands of the greedy priest standing behind the cross. Once again the peasant woman is depicted as an old baba, a naïve woman giving away her living to a greedy priest in the name of religion. The controlling idea of these types of depiction is the frailty of women, particularly the women of the countryside. Not only are they physically weak but they are mentally weak, repeatedly giving the livelihood of themselves and their husbands to priests that use religious dogma to manipulate them. To me it is implied that the weakness of the woman is the reason why she is so easily manipulated. The posters illuminate how the Bolsheviks played upon the traditional conceptions of religion and the family, e.g. the woman as the primary espouser of religious values in the home to press upon the urban populace the need to fight religion in the countryside. They also played on the preconceived notions of the Russian urbanite concerning the peasants: they were all uneducated, poor, and therefore they were susceptible to the religious lies of the Church. A Soviet person would not fall for the tricks of the Church because as they were well versed in Marxism and Leninism. Therefore they knew that religion was solely used to manipulate the ideologically weak masses and could easily be defeated by those who were politically enlightened. Autumn and the Living Cross are only samples of the anti-religious posters produced during the Lenin and NEP Era, but do serve as good examples of the trends seen in the posters of this time period. The 1930s would see a change in the depiction of women in anti-religious posters as the Party’s increased efforts to shape women into members of the proletariat. 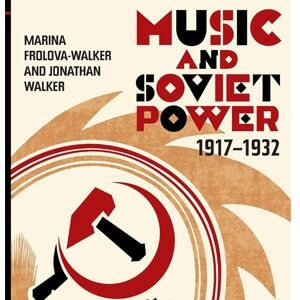 During Stalin’s cultural revolution which coincided with the First Five-Year Plan from 1928-1932, there was a drive to bring Russian culture as a whole to a more modern stage. This included a literacy drive, an increased emphasis on hygiene, and a reinvigorated push against religion. Anti-religious posters changed focus from the Church as an exploiter of the peasants, particularly women, to a focus on the new Soviet person and the Five Year-Plan. The posters do not utilize traditional elements of Russian culture such as the baba, or the female as the mother and nucleus of the family. Instead, the posters suggest that the Church is the root of social evils and show the different ways that the new Soviet person fights religion rather than focusing on the greed of the priest. Atheism is portrayed positively, in contrast to the posters of the Lenin period, where religion was shown negatively. Stalin’s cultural revolution marked the beginning of the change in the roles of women in the new Soviet society. Women were brought into the workforce, were more widely educated, and were educated in Marxist ideology. In the countryside, women joined the proletariat as agricultural workers. The creation of the new Soviet woman was a complete rejection of the cultural values that Timasheff mentions in his thesis: the traditional familial structure, the acceptance of the Church and traditional, non-Marxist forms of education. This meant that women were no longer portrayed as intellectually feeble and physically weak, susceptible to the lies and tricks of the church, but as models of the Soviet woman. This can be seen in The Working Woman a poster printed in 1931, in the anti-religious magazine The Godless. The audience of The Godless during this era was different from the audience it had during the early 1920s. During Stalin’s cultural revolution the urban audience was becoming increasingly diverse as women and men from the countryside came to the city to find jobs or to escape from the hardship of collectivization. This increase in the urban demographic is important because during and after the Civil War, over half of the workers in the urban areas were either serving in the Red Army or had fled back to the countryside. Stalin’s drive for industrialization and collectivization served to replenish the number of urban workers. Workers who had fled to the countryside were also seen to have possibly reconnected with their peasant roots, including religious belief. Stalin’s cultural revolution saw a renewed and intensified fight against religion. 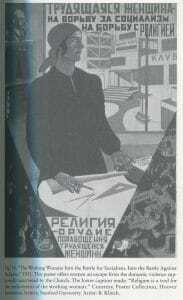 The header of The Working Woman (Трудящаяся Женщина) translates to: “The Working Woman: Into the Battle for Socialism. Into the Battle Against Religion” while the text on the bottom states, “Religion is a tool for the enslavement of the working woman.”  The woman in the center is a new Soviet woman archetype; she has her kerchief tied behind her head, in contrast to the peasant women seen earlier with their kerchiefs tied around their necks. A woman that is hard at work must tie her kerchief behind her head for safety reasons; something a backward peasant woman would not know to do or need to do. The Soviet woman is young; she stands tall with good posture and a healthy and calm demeanor at her workbench. The audience can also tell that the young woman is educated as she has her Leninist theory books under her bust of Lenin, on an orderly bookshelf behind her. She also has mathematical tools on her desk such as a compass and protractor; one can infer that the woman is an engineer or technician of some type. In stark contrast to the depiction seen in the posters late 1910s up to the mid-1920s, the new Soviet woman is physically and mentally stronger than her counterpart in the countryside was portrayed earlier. The text also indicates a change to a primary focus on the woman. Behind the strong and focused new Soviet woman, one can see the violent and miserable past she left behind. On the right of the woman there is a depiction of a drunken man dragging and beating his wife in the kitchen while their baby crawls away crying. In the corner of their home is an icon of Jesus peering down at the man as he chokes his wife with one had while the other holds a bottle of vodka. Situating the icon directly over the scene of domestic violence gives the audience the idea that the act is condoned by Jesus and therefore by religion. On the left, one can see the priest hiding in the shadows next to a table that is filled with food, watching the violence unfold before him. The church is shown as a tool for the further enslavement of women to domestic housework and unequal marriages. However, rather than emphasizing religion and the Church as exploiting and manipulating naïve women for their own gain, the audience sees the Soviet woman moving beyond the past hardships that women faced before being members of the new Soviet society. Furthermore, the audience can see the positive role that Bolshevist atheist has played in the transformation of the Soviet woman. The Soviet woman is no longer forced to remain at home with her child, keeping house or worst of all, being beaten by her drunken husband. The achievements of the woman are based upon her being a good Socialist: a hard worker, and a productive member of the collective; a rational rather than religious thinker. 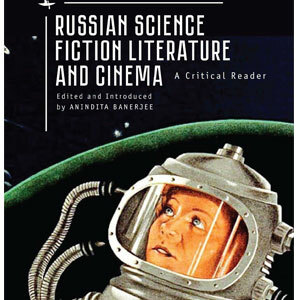 “In this classic struggle of the sexes, propaganda stressed that it was the Stalinist state that supported the heroine and ensured her success in every sphere of existence.” The strong Soviet woman will no longer be manipulated by religion and the priests that try to tell her religious lies; she is mentally strong in her Leninist theoretical background and belief in science. The proletariat woman is not the only woman to get a makeover in this new anti-religious propaganda. Coinciding with the creation of the new Soviet industrial woman is the creation of the new Soviet kolkhoznitsa (agricultural woman). She is young, intelligent and strong; she is in no way likened to the baba of the old posters or society. 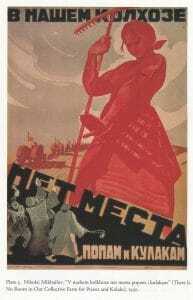 The poster titled “In our Collective Farm” (В Нашем Колхозе) depicts the new agricultural Soviet woman in the typical Communist red, extending her hand to say “No” to the priests and kulaks (wealthy peasants) trying to infiltrate and adulterate her collective farm. 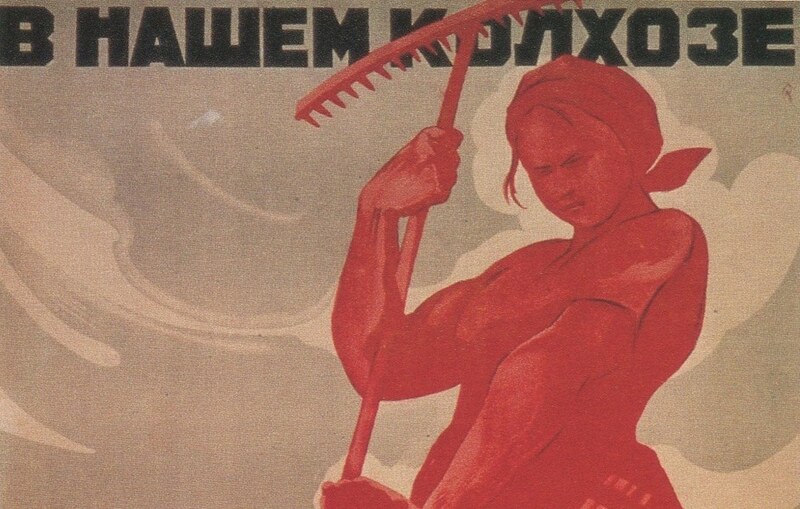 The text of the poster states “In our kolkhoz (collective farm) there is no room for priests and kulaks.” The woman is in a position of physical power and her rejection of the priests and kulaks stands as a metaphor for the new Soviet woman’s rejection of traditional femininity. Like her industrial counterpart in The Working Woman, she has embraced her role as the new Soviet woman and has become an autonomous individual. She is no longer susceptible to the machinations of class enemies and religion. She stands on her own as a protector of herself and her collective farm or workbench. Several of the anti-religious posters feature interaction between the old baba and the proletarka. The older woman is often seen trying to interfere with the work or goals of the working woman. This was a way of showing how the old traditional values of Russian society, embodied by the baba were unacceptable and contrary to the new culture that the Bolsheviks were creating. These posters also play upon the role of the woman as the victim and as a possible enemy by showing the baba trying to counter the good acts of the new Soviet women. The posters were aimed at inspiring the urban woman to go into the countryside and help crush religion amongst the peasantry using the old and frightening peasant woman conniving undermine the work of the anti-religious proletariat woman, as a galvanizing image for poster’s target audience. Lyushin, Vladimir. Красные и Белые Платочки. 1928. Poster. Dunlop Art Gallery. Red Kerchiefs, White Kerchiefs was intended to be viewed by urban workers and those urbanites whose purpose was to push antireligious belief into the countryside. This conclusion can be extrapolated from the fact that it was featured in The Godless at the Workbench in 1928, at the beginning of Stalin’s renewed push against the Church, when anti-religious groups were trying to increase their membership and membership engagement. As historian Daniel Peris states: “during the 1920s and the 1930s, millions upon millions of Soviet citizens were exposed to virulently atheist propaganda on the streets, by the military, in the workplace, and throughout the public sphere.”  The poster shows the clash between the traditional religious culture of Russia with the Soviet culture then beginning to form. The poster shows two sets of women, the older baba and the young proletarki. The room of the babushki is in the style of the peasant room, very cluttered and covered in religious iconography. The baba in the black is holding a small Bible in her hand and one can see the Soviet woman in the red dress making a negative gesture towards the hand holding the Bible away. The proletarka herself she is holding Правда (Pravda-The Truth), the official Bolshevik newspaper, which we can assume has now supplanted traditional religious superstition for the younger generation. These women serve as models for the Soviet women that the government is trying to create through cultural programs and the destruction of the Church and religious belief. As women are better educated and employed as workers their economic situations improve, and their need to depend on religious belief decreases. Thus, religion is, as Marx said, a function of a person’s economic position. The poster is also marked by its vibrant use of white and red, the colors of the Civil War. The Civil War was marked by brutality of both sides and extreme hardship for the country’s citizens during its the three-year span. Millions of men and women lost their lives due to violence and many starved to death due to famine and crop failure. Needless to say it was a dark time in the lives of many who would be the intended audience of the poster. The use of color serves as a metaphor for the alignment of the Church and religion to the Whites. The babushki in the white kerchiefs are depicted being connected with everything that is anti-Soviet: they are old and weak, religious, and are from the countryside while the Soviet women are depicted as young and able-bodied, urban (as shown in their simple, modern living quarters) and Communist. The color contrast and the connections to the Civil War also depict religious peasant women as betrayers of the Soviets. They are likened to their peasant babushki counterparts seen in Autumn and The Living Cross, the easily exploited and naïve women that will give their last dime to the Church because they are blinded by their religious belief. However the women in the current poster are betrayers because of their support of religion and the Civil war. If one reads deeper into the nuances of the poster one can also see the connections to another social issue that was a priority of the government during the late twenties, literacy. The baba is holding the Bible in her hand but it is not opened as the Soviet woman holding Pravda has her hand in the paper as if she is using her hand as a bookmark, implying that she has read the paper while the old woman only holds the Bible she cannot read but holds so dear. The poster is not as overtly anti-religious as other posters featured in The Godless later in 1928 and the 1930s. Rather, the poster uses color and the physical attributes of the women to prove its point that religious belief is not for the new Soviet man and woman, but it is for the old, backward peasant. 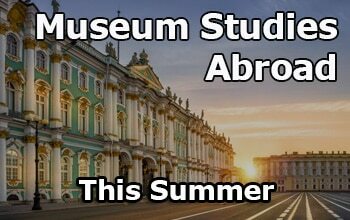 It is a remnant of the tsarist culture that is incompatible physically and intellectually with Soviet society. The threat that religion poses to Soviet society is the old woman, if they allowed religion to infiltrate and ravage the new Soviet society it too would become old, decrepit, and feeble. The final poster we will consider is entitled Religion is Poison was published in 1930 in The Godless. It serves as one of the few examples of a poster in The Godless which focuses primarily on women. The poster juxtaposes the old and religious baba with the young, school girl who is trying to become educated but the baba is pulling her by her hair to the Church. This is a relatively blatant way of stating that religious belief is the enemy of the Soviet person and particularly, the Soviet woman. The baba in the poster is rather frightening with her old and worn face, her missing teeth and a large boil on her right cheek. She also has the iconic hump back and kerchief tied under her chin of the illiterate and superstitious baba. Her depiction makes one ask why one would want to be religious when it makes you old, disfigured, and ignorant? The baba’s physical condition is a manifestation of the years of religious exploitation she has experienced. Because of her belief in God and the Church she has spent years toiling and being exploited whereas the young girl that she is dragging to church from the school is young and able-bodied because she is free from the Church and its exploitive powers. This stark difference is a visual metaphor for the Bolshevik belief that women were drawn to religion due to their hard lives as homemakers and toilers in the fields. The women went to religion to relieve the hardships that their economic situation caused them, hard days and nights spent working, raising children, and dealing with drunken and abusive husbands. The young girl serves as a model for the Soviet girl as she is free from economic exploitation and therefore free from the exploitive powers of the Church. She does not need to depend on religious belief because her economic condition has changed. The new Soviet woman is seeking education and the school to improve her life, and does not need the Church. 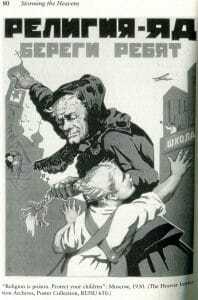 The text of the poster is also interesting as it utilizes the message that the Bolsheviks had been using since the Revolution: “Religion is poison” and tells the Soviet people to protect their children. As the cornerstone of the Soviet family, the new Soviet woman must protect her family from religious superstition and to indoctrinate it in atheistic Leninism and Marxism, creating the next generation of Soviets. This role of the new Soviet woman serves as a prime example of Hoffman’s modernist argument that the traditional elements of Russian society were reworked, made Soviet and therefore modern. The role of the woman as the pillar of the family was changed because she was economically independent and her relationship with her family had changed for her benefit. She was no longer “poisoning” the children with religious belief but rather now she was protecting them from priests and their exploitation. The new Soviet woman as a mother was now important and critical to the development of Soviet society. After 1934, The Godless at the Workbench was brought under the control of The Godless and women were no longer featured in anti-religious posters. 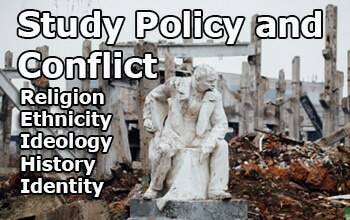 The focus of the posters changed from anti-religion to promoting government policy. I posit that this is due to the fact that in 1934, Stalin declared that Socialism had been achieved in the Soviet Union. There was no longer a need to focus on the evils of the Church when religious belief and the Church had been defeated by the cultural revolution. Although from a Western view this seems preposterous, when one uses the ideological framework of the Bolsheviks the decision to stop showcasing the negative role of religion and links to society is logical. Socialism had defeated religion; there was no longer a threat. The creation of the Soviet woman, as part of the construction of Soviet society under Stalin stands in stark contrast to the Leninist deconstruction of traditional society. In Lenin’s time women, religious belief, and the Russian Orthodox Church stood as pillars of the backward Russian society. 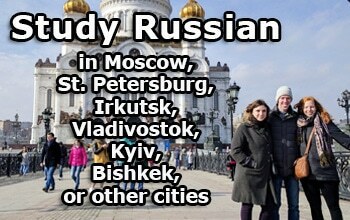 The Bolsheviks set out to eradicate these when they came to power in 1917. Women and the Church were the cornerstones of conservative belief in Russian society and had a relationship that posed a threat to the Bolsheviks ideologically and socially. Part of the assault on the backwardness of Russian culture was to change the relationship between the Church and women and to sculpt women into the new Soviet citizens that were needed for the USSR to become an industrialized nation. Through anti-religious magazines such as The Godless and The Godless at the Workbench, the Bolsheviks depicted the backwardness of religious belief that they wanted to eradicate as well as models for what the new Soviet woman should be. The role of women and the Church as depicted by Bolshevik anti-religious propaganda changed throughout the NEP and early Stalin era. In the 1920s women were depicted as naïve and easily exploited babas, which was in line with the early Bolshevik ideas about women and the causes of their strong religious belief. They depicted the baba as physically and mentally weak because of her religious values and faith in the crooked and conniving church. The church and priests are depicted as pestilent and greedy, taking all that they can from the naïve peasant woman while her husband is blinded to her actions. The woman is shown as a possible enemy to Bolshevik culture as well as a victim of the church. There is a paradox in terms of the agency of the female in the early posters. While she is depicted as a victim of the church’s mischievous ways she is also shown taking from her husband and dealing with the church on her own, a clear sign of agency. This contradiction also applies to the key elements of Bolshevik thought on women as victims and enemies. Although the posters of the Lenin period depict what the new Soviet woman was not to be, it was not until Stalin’s era of cultural change in 1928-32 that we see the creation and depiction of the new Soviet woman as well as the positive role that atheism was to play in the Soviet society. The new Soviet woman is physically strong and able to defend herself and her workbench or collective farm from the intrigues of the backward church and its exploitive priests. We also see the role of the Church change during the Stalin period as the church is no longer represented by the conniving and greedy priest but rather it is shown by the old and backward baba or the drunken and abusive husband as shown in The Working Woman. The church is the embodiment of the social evils and backwardness that the regime is striving to eradicate from Russia. The interaction between the woman and church transformed from the victim and the victimizer to the wrecker and the defender of Socialism either in the form of a worker or a mother as depicted in the text of Religion is Poison. The new Soviet woman has agency as an individual, she is free from the shackles of religious belief which drove her to give away her earnings and food to the clergy and forced her to remain in an oppressive and oftentimes abusive marriage. The changes in the relationship between the woman and the church as well as the creation of the new Soviet woman in anti-religious posters provide an interesting perspective on the debate surrounding Stalin’s cultural changes. Whereas historians like Timasheff focus on policy and its effects on the population when discussing Stalin’s cultural changes as a retreat; when one looks at the posters, the medium in which the regime showed the people what was to be expected from them, one sees a different outcome. 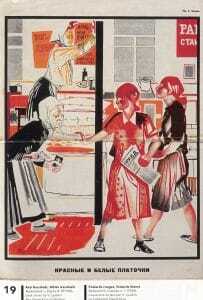 In the posters, relationships between women and the church change, the traditional aspects of Russian society that are unacceptable to the new Soviet society are stigmatized, and those aspects that can be “Sovietized” such as motherhood and work on a farm are depicted as modern and fundamentally different from how those roles were fulfilled during the tsarist period. The traditionalists fail to take into consideration two elements that are shown in these posters: the necessity to cope with problems that arise with modernity as well as Stalin’s announcement that Socialism had been achieved. The Bolsheviks were attempting to build a utopia but not until Stalin’s cultural revolution did that utopia begin to take shape and finally be depicted to the people, paving the way for the creation of the atheist, Soviet woman. Kimberly St. Julian is finishing a BA in History at Swarthmore College. 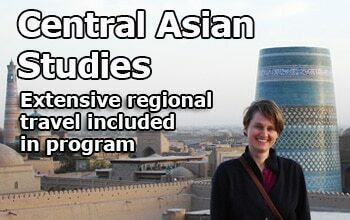 She plans to begin a Master’s program at Harvard University in Russian, Eastern European, and Central Asian Studies in the Fall of 2012. 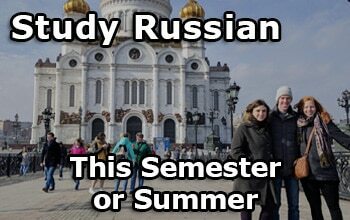 She will focus on history as well as the Russian and Serbian languages. 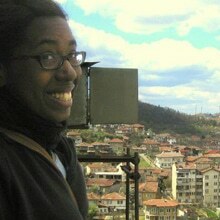 Afterwards, she would like to continue to pursue a PhD in history with a focus on Russian and Soviet history. She aspires to become a professor of history. Anderson, Paul. 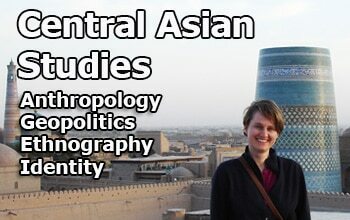 “Out of the kitchen, out of the temple: religion, atheism and women in the Soviet Union”. 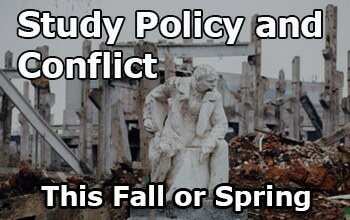 in Religious Policy in the Soviet Union, ed. Sabrina P. Ramet. Cambridge: Cambridge University Press, 1993. Print. 206, 212. Clements, Barbara Evans. “The Birth of the New Soviet Woman”. in Bolshevik Culture, ed. Gleason, Kenez and Stites. Bloomington: Indiana University Press, 1985. Print. 221. Curtiss, John S. The Russian Church and the Soviet State, 1917-1950. Boston: Little, Brown, 1953. Print.4. Fitzpatrick. Sheila. “The Civil War as a Formative Experience,” in Bolshevik Culture, ed. Gleason, Kenez and Stites. Bloomington: Indiana University Press, 1985. Print. 68. Fitzpatrick, Sheila. “Cultural Revolution as Class War”. in Cultural Revolution in Russia, 1928-1931. Bloomington: Indiana University Press, 1978. Print. 9, 10. Fitzpatrick, Sheila. Everyday Stalinism: Ordinary Life in Extraordinary Times, Soviet Russia in the 1930s. Oxford: Oxford University Press, 1999. Print. 22, 90,155. Fitzpatrick, Sheila. The Russian Revolution. Oxford University Press, 2008. Print. 151. 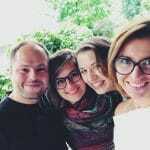 Gerin, Annie. Godless at the Workbench. Toronto: Dunlop Art Gallery, 2004. Print. 33, 34. Hoffman, David L. Stalinist Values: The Cultural Norms of Soviet Modernity, 1917-1941. Ithaca: Cornell University Press, 2003. Print. 2,4,6. Kenez, Peter. The Birth of the Propaganda State: Soviet methods of mass mobilization 1917-1929. Cambridge: Cambridge University Press, 1985. Print. 111. Lapidus, Gail W. Women in Soviet Society. London: University of California Press, 1978. Print. 155. Lenoe, Matthew. “In Defense of Timasheff’s Great Retreat”. Kritika 5.4 (2004). 721. Likhachev, Dmitry S. “Religion.” The Cambridge Companion to Modern Russian Culture.Ed. Nicholas Rzhevsky. Cambridge University Press, 1999. 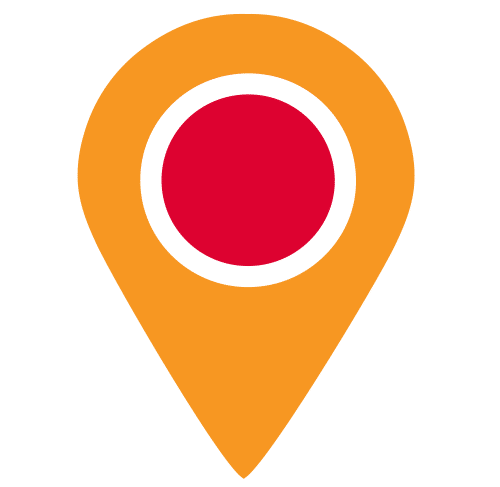 Cambridge Collections Online. Cambridge University Press. 49. Peris, Daniel. Storming the Heavens: The Soviet League of the Militant Godless. Ithaca: Cornell University Press, 1998. Print. 42, 69, 70. Rabinowitch, Alexander. The Bolsheviks in Power: The First Year of Soviet Rule in Petrograd. Bloomington: Indiana University Press, 2007. Print.132. Suny, Ronald Grigor. 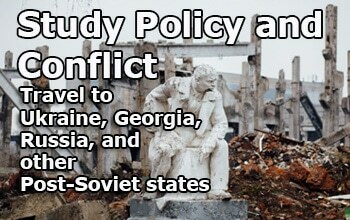 The Soviet Experiement: Russia, The USSR, and the Successor States. Oxford: Oxford University Press, 1998. 179. Timasheff, N.S. “The family, the school, the Church: the pillars of society shaken and re-enforced”. in The Stalinist Dictatorship, ed. Chris Ward. London: Arnold, 1998. Print. 303. Young, Glennys. Power and the Sacred in Revolutionary Russia: Religious Activists in the Village. University Park, Pa: Pennsylvania State University Press, 1997. Print. 29. Artist Unknown. Религия-яд. 1930. Poster. in Storming the Heavens: The Soviet League of the Militant Godless. By Daniel Peris. Ithaca: Cornell University Press, 1998. Print. 80. Cheremnykh, M. Животворящий Крест. 1925. Poster. Dunlop Art Gallery. Godless at the Workbench. By Annie Gerin. Toronto: Dunlop Art Gallery, 2004. Print. 23. Klinch, B. Трудящаяся Женщина. 1931. Poster. in Power and the Sacred in Revolutionary Russia: Religious Activists in the Village. By Glennys Young. University Park, Pa: Pennsylvania State University Press, 1997. Print. 120. Lyushin, Vladimir. Красные и Белые Платочки. 1928. Poster. Dunlop Art Gallery. Godless at the Workbench. By Annie Gerin. Toronto: Dunlop Art Gallery, 2004. Print. 19. Mikhailov, Nikloai. 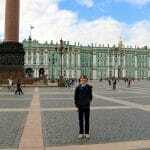 В Нашем Колхозе. 1930. Poster. in Iconography of Power: Soviet Political Posters under Lenin and Stalin. By Victoria E. Bonnell. Berkeley: University of California Press, 1997. Print. 3. Moor, Dmitry. Осень. 1925. Poster. Dunlop Art Gallery. Godless at the Workbench. By Annie Gerin. Toronto: Dunlop Art Gallery, 2004. Print. 18. John S. Curtiss, The Russian Church and the Soviet State, 1917-1950, (Boston: Little, Brown, 1953)4. Barbara Evans Clements, “The Birth of the New Soviet Woman” in Bolshevik Culture, ed. Gleason, Kenez and Stites (Bloomington: Indiana University Press, 1985) 221. Paul Anderson, “Out of the kitchen, out of the temple: religion, atheism and women in the Soviet Union”, in Religious Policy in the Soviet Union, ed. Sabrina P. Ramet, (Cambridge: Cambridge University Press, 1993) 212. Peter Kenez, The Birth of the Propaganda State: Soviet Methods of Mass Mobilization 1917-1929, (Cambridge: Cambridge University Press, 1985) 111. Ronald Grigor Suny, The Soviet Experiment: Russia, The USSR, and the Successor States, (Oxford: Oxford University Press, 1998) 179. Sheila Fitzpatrick, “Cultural revolution as Class War” in Cultural revolution in Russia, 1928-1931, (Bloomington: Indiana University Press, 1978) 9. Alexander Rabinowitch, The Bolsheviks in Power, (Bloomington: Indiana University Press, 2007) 132. David L Hoffman, Stalinist Values: The Cultural Norms of Soviet Modernity, 1917-1941 (Ithaca: Cornell University Press, 2003) 6. Sheila Fitzpatrick, The Russian Revolution, (Oxford: Oxford University Press, 2008) 151. Sheila Fitzpatrick, Everyday Stalinism: Ordinary Life in Extraordinary Times, Soviet Russia in the 1930s, (Oxford: Oxford University Press, 1999) 155. Nicolas S. Timasheff, “The Family, the School, the Church: the Pillars of society shaken and re-enforced”, in The Stalinist Dictatorship, ed. Chris Ward, (London: Arnold, 1998)303. David L. Hoffmann, Stalinist Values: The Cultural Norms of Soviet Modernity, 1917-1941 (Ithaca: Cornell University Press, 2003) 2. David L. Hoffmann, Stalinist Values: The Cultural Norms of Soviet Modernity, 1917-1941 (Ithaca: Cornell University Press, 2003) 4. Sheila Fitzpatrick, Everyday Stalinism: Ordinary Life in Extraordinary Times, Soviet Russia in the 1930s, (Oxford: Oxford University Press, 1999) 90. Matthew E. Lenoe, “In Defense of Timasheff’s Great Retreat”, Kritika 5.4 (2004), 721. Annie Gerin, Godless at the Workbench (Toronto: Dunlop Art Gallery, 2004) 33. Daniel Peris, Storming the Heavens: The Soviet League of the Militant Godless (Ithaca: Cornell University Press, 1998) 42. Annie Gerin, Godless at the Workbench (Toronto: Dunlop Art Gallery, 2004) 34. Sheila Fitzpatrick, Everyday Stalinism: Ordinary Life in Extraordinary Times, Soviet Russia in the 1930s, (Oxford: Oxford University Press, 1999) 22. Paul Anderson, “Out of the kitchen, out of the temple: religion, atheism and women in the Soviet Union”, in Religious Policy in the Soviet Union, ed. Sabrina P. Ramet, (Cambridge: Cambridge University Press, 1993) 206. Sheila Fitzpatrick, “The Civil War as a Formative Experience,” in Abbott Gleason, Peter Kenez and Richard Stites, eds., Bolshevik Culture: Experiment and Order in the Russian Revolution (Bloomington, Ind. 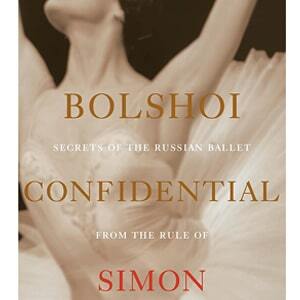 : Indiana University Press, 1985) 68. Glennys Young, Power and the Sacred in Revolutionary Russia: Religious Activists in the Village, (University Park, Pa: Pennsylvania State University Press, 1997) 29. Gail Warshofsky Lapidus, Women in Soviet Society, (London: University of California Press, 1978)155. Daniel Peris, Storming the Heavens: The Soviet League of the Militant Godless (Ithaca: Cornell University Press, 1998) 69. Daniel Peris, Storming the Heavens: The Soviet League of the Militant Godless (Ithaca: Cornell University Press, 1998) 70.